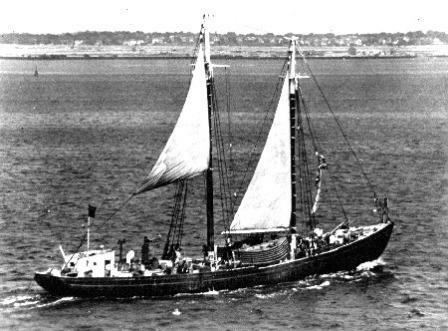 Captain Jeff Thomas, a successful highlining skipper out of Gloucester, had his own vessel built after years of skippering other Gloucester vessels. 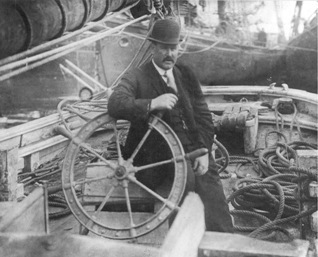 His son, Gordon W. Thomas, provided the name Adventure. 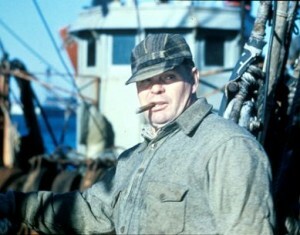 This ended up being Capt. 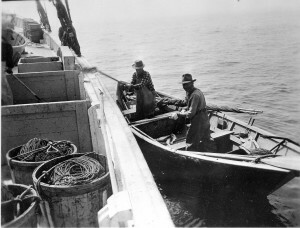 Jeff’s last vessel as he died on board in March 1934 of a heart attack after chopping ice off of the frozen gear. 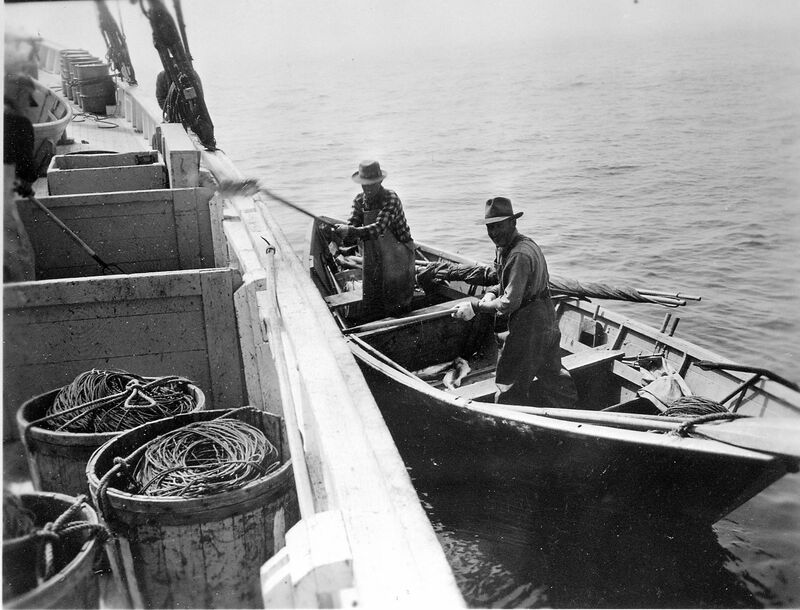 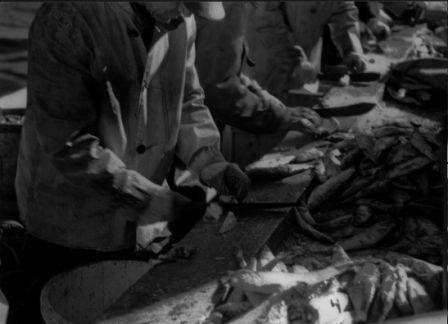 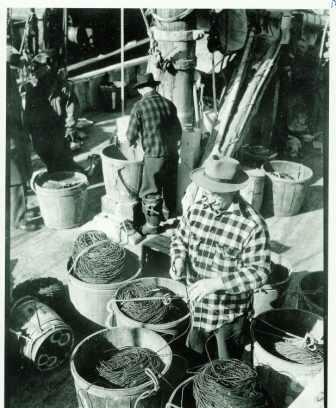 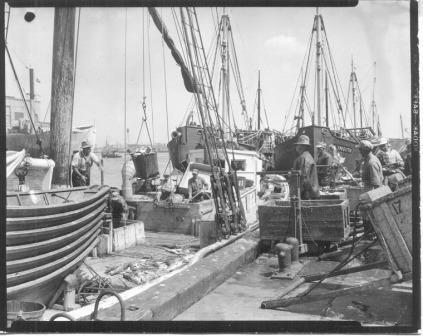 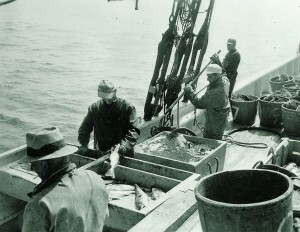 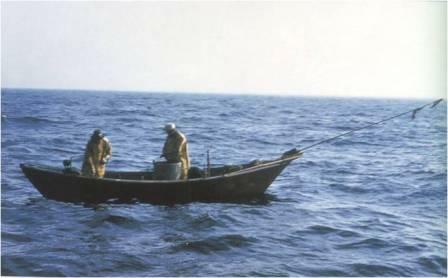 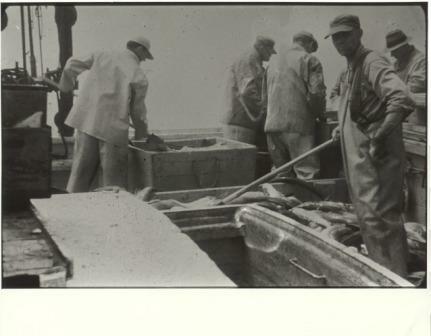 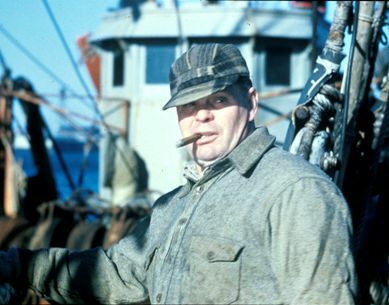 “In and Out Hynes” took Adventure dory fishing out of Boston bringing in some of the largest catches on record. 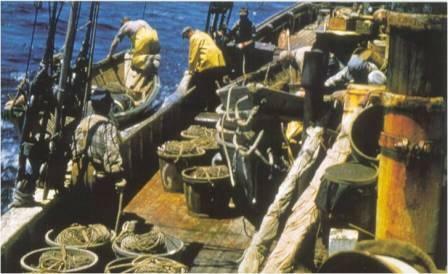 When he retired Adventure in 1953, she was the last American dory fishing vessel. 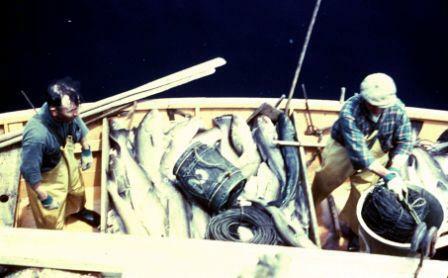 John Clayton, amateur photgrapher, documented her last 3 years with photos and film footage taken on a number of voyages during those 3 summers.